Take two every four hours. Drink a full glass of water with each dose. Take one pill twice a day. Follow doctor’s orders! For most of us, remembering to take the correct medication is a simple task. We can set an alert on our phones. We may have been taking it so long that we don’t need to remember because it’s become a habit. However, this isn’t always the case for elders. Remembering to take medications can be challenging, especially if more than one is involved. Even more important is making sure the right dosage is consumed to avoid an accidental under or overdosing. 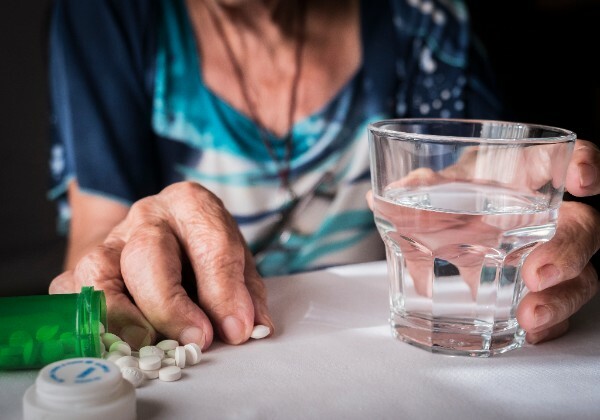 A detailed schedule that lists current medications, dosages and frequency can ensure that your loved ones are getting the medicine they need when they need it. The care team at Laura Lynn’s Home Care works directly with each client to assist with their medication reminders. With a Registered Nurse on-staff, client and family questions or concerns about medications can be quickly addressed. If you have a loved one or know someone who may need our services, please schedule a consultation today by calling 405-418-2961. Our qualified staff is standing by ready to help.